Capital assets are real and personal property used in operations, above a specified value, the government intends to use or keep for more than one year. Capital assets include land and land rights; buildings, their furnishings, fixtures, and furniture; infrastructure assets, intangible assets equipment, machinery, vehicles, and tools. Capitalize means to report an expenditure for real and personal property or intangible assets as a capital outlay. These expenditure transactions are coded to 594 and 595 account codes. Accountability means the obligation to demonstrate good management of or control over those matters for which the government is responsible. Capital assets management system is the set of written policies and procedures used to control a government’s capital assets and demonstrate accountability. 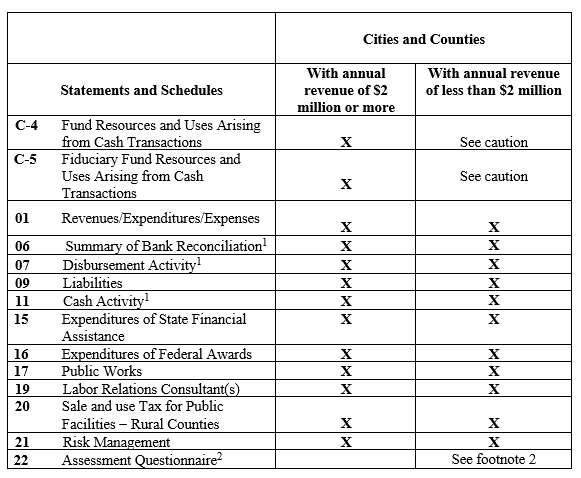 Public officials have several broad responsibilities with respect to capital assets such as tracking assets for accountability purposes; maintaining records for insurance purposes; ensuring assets are safeguarded from loss, waste, damage, or neglect; for compliance purposes such as when purchased with federal funds; and long term capital budgeting and planning. Capitalization threshold is a dollar amount set in a formal policy defining when an item with more than one or more years of usefulness will be classified as a capital asset. Physical inventory is a procedure where the existence of assets on the inventory list is confirmed by physically observing the assets at their location in the field. Small and attractive assets are assets that last longer than one year, but do not qualify as capital assets. They are less than the capitalization threshold and may be susceptible to theft or misuse. Cash basis accounting only reports inflows and outflows of cash. When a capital asset is purchased the entire expenditure is recognized in the period as “capital outlay” when the cash outflow occurs. Because the entire asset cost is reported when it was purchased the reporting of depreciation accounts is not appropriate. Determination of when a purchased item is classified as a capital asset (and reported as a “capital outlay”) will depend upon the capitalization threshold established in policy of the government. Each government should establish a formal policy that includes a capitalization threshold. The cash basis financial reporting requirements for capital assets are limited; however, this does not remove the responsibility of the government from its stewardship of public resources. Entities must have policies and procedures in place to track, demonstrate accountability and ensure security of their capital assets. 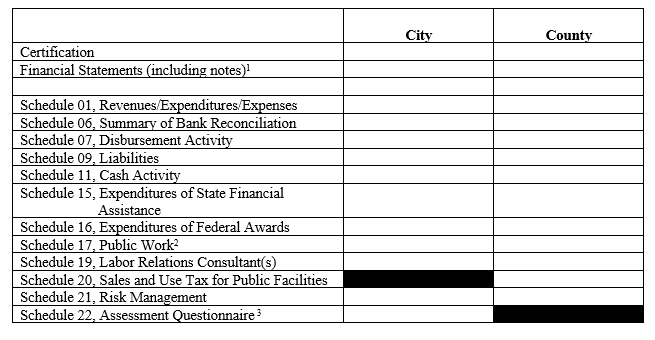 Specific capital asset tracking requirements of the State Auditor's Office are contained on the subsequent pages. In addition, the federal government has issued property management requirements that apply to all governments that receive federal assistance. Title 2 of the Code of Federal Regulations (CFR) sections 200.310-316 outlines specific requirements related to real property, equipment, supplies and intangible property purchased with federal funds. Note that these requirements involve broad stewardship responsibilities and specific accounting records. The duty to make certain that public property is adequately protected and that its use is properly managed is one of the fundamental responsibilities of government officials. Local governments with capital assets should develop policies and procedures for management of these public resources. At a minimum the policies should be reviewed and approved by the governing body. Once a policy is adopted, it should be periodically reviewed and updated to ensure it meets the needs of the local government. The following are items the government must consider when developing policies for tracking and safe guarding their capital assets. Capitalization Threshold. Governments must set the dollar amount at which the purchase of an asset with a useful life of more than one year will be classified as a capital asset, for which the expenditure will be recognized as a capital outlay. The cost of maintaining the information versus the benefit of the information should be evaluated when setting the threshold. The amount of the capitalization threshold is up to the government and may vary. Many governments have set their policy at $5,000. Inventory Requirements. Policies should require inventories at reasonable intervals to verify the existence and condition of capital assets. The policy should define the categories or types and threshold of assets to be inventoried. These policies should require an inventory interval based on the nature of assets, number of assets and extent of decentralization. The policy should also assign overall responsibility for conducting the inventory – ideally by personnel other than those charged with custody of the assets. The policy should include how to follow up on damaged or missing assets, including when inventory results or issues are communicated to the governing body. The policy should direct losses of public resources to be reported to our office, as required by state law. Inventory policies should conform to any statutory or regulatory requirements, such as the requirement for counties to inventory all capital assets per RCW 36.32.210 or the requirement for all assets over $5,000 per unit purchased with federal grant funds to be inventoried at least once every two years per the 2 CFR §200.313. Recordkeeping. Policies should address how the capital assets will be tracked and what records will be maintained for operational and accountability purposes. Governments should maintain records of what they own, where it is located, the condition, and who is responsible for the asset. Records should be sufficient to prove any losses for insurance purposes. Inventory and maintenance records will confirm that a lost or damaged asset has been in use recently, which will support the validity and timeliness of a theft or damage report. Specific information captured may vary by type of asset. These are assets that are below the government’s capitalization threshold for financial statement reporting purposes and last longer than a year, but may be susceptible to theft or misuse. Each government should perform an assessment to identify those assets that are particularly at risk or that otherwise need to be tracked for operational purposes. Governments should implement specific measures to track and control these assets to minimize identified risks, as appropriate for the nature of the assets, value of the assets, and risks. Controls may range from basic measures such as policies, tagging, assigned custody, restricted access or other physical controls - to limited systems such as check-out systems or reserve inventories (where only items not in use are tracked) – to comprehensive tracking and inventory controls such as that done for capital assets (compete tracking lists, periodic physical inventories, see below for more information). Governments should also consider the cost/benefit of tracking certain types of assets and the resources it has available when establishing control measures, as compared to the risks involved. The SAO Resource Database provides an additional tool Best Practices for Small and Attractive Assets designed to help local governments develop policies and procedures related to small and attractive assets. When a government has capital assets it must establish and maintain a tracking system for them. It may be maintained using either a computerized or manual system. The tracking system must adhere to the formal asset policies approved by the governing body. 1. 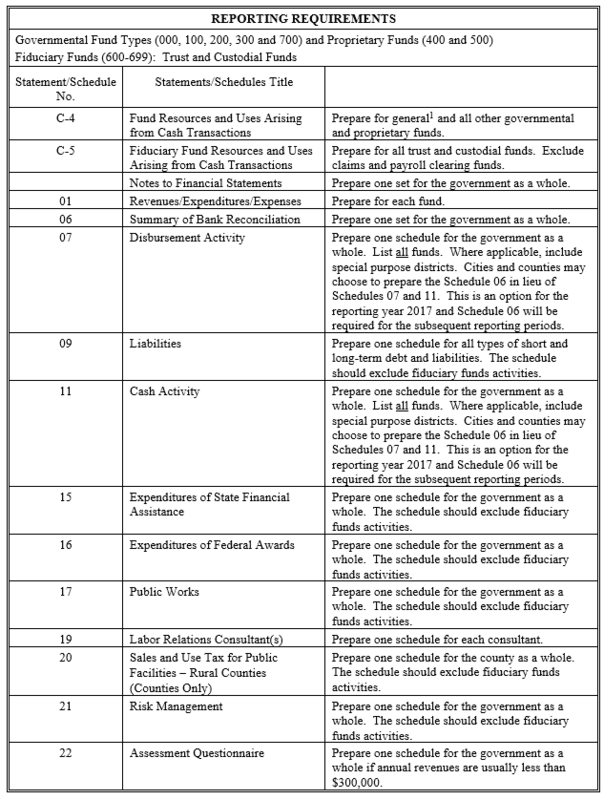 Inventory list containing capital assets owned by the government. 3. A reconciliation of asset records and performance of a physical inventory. The capital assets list and individual asset records should be compared/reconciled. This is to assure the addition of new assets and removal of old ones are updated in both sets of records. Reconciliations should be performed at least once per year. 4. Adequate internal controls over additions and deletions to the capital asset tracking system. 5. 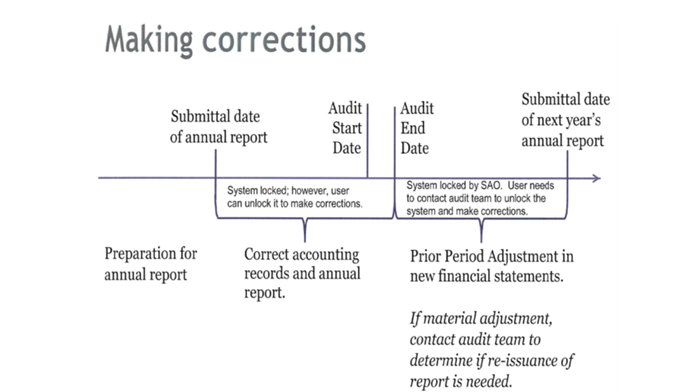 A method to track changes in custody and assigned responsibility for the assets. Capital assets purchased with federal funds are subject to federal property standards found in 2 CFR §§200.310-316. The requirements are known as the Uniform Administrative Requirements, Cost Principles, and Audit Requirements of Federal Awards (Uniform Guidance). They apply whether the assets are purchased in whole or in part with federal resources and are in addition to the accountability requirement prescribed by our office. The federal rules are in effect during the time the asset is owned by the government until official disposition has occurred. Also, government should be aware some federal agencies may publish deviations from the Uniform Guidance due to statutory requirements.